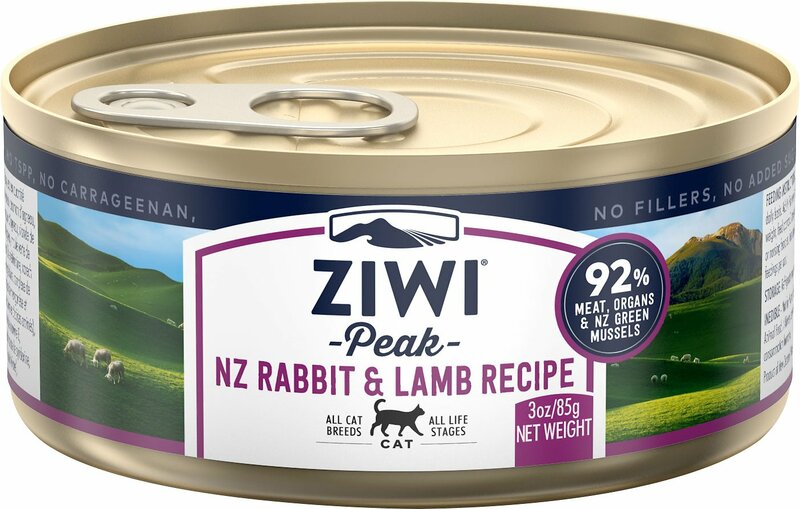 Feed your cat farm to bowl nutrition with Ziwi Peak Rabbit & Lamb Recipe Canned Cat Food. 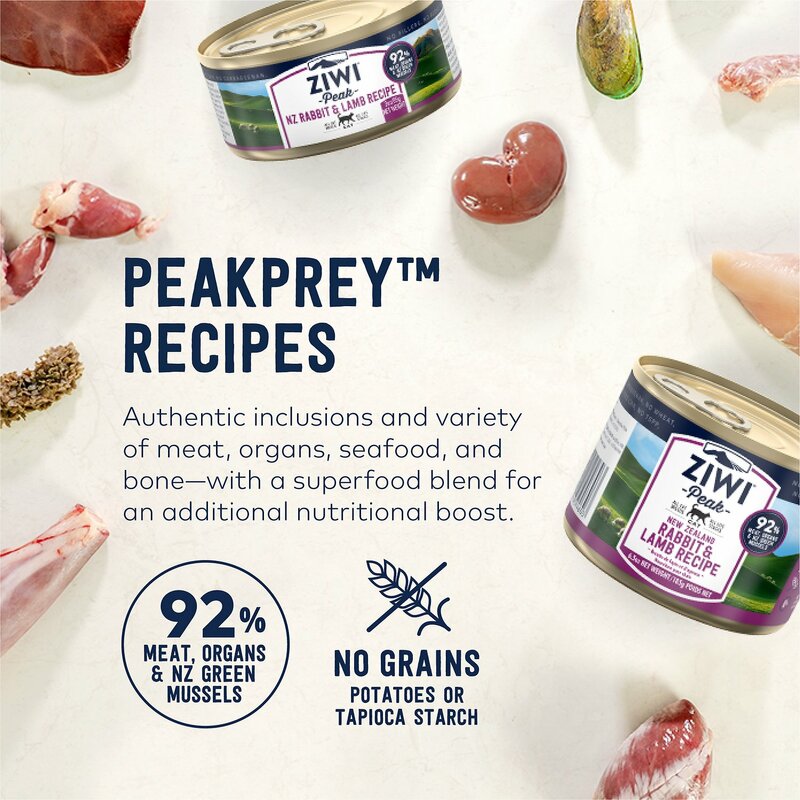 Simple and pure, just like the Ziwi love for cats, this recipe gives your pal the best of New Zealand. It’s designed to mirror a whole-prey, nutrient dense diet using fresh meat, organs and bone, as well as New Zealand green lipped mussels for a natural source of chondroitin and glucosamine. And to keep the formula as natural as possible, the complete and balanced nutrition does not include TSPP, BPA or carrageenan in the canning process. 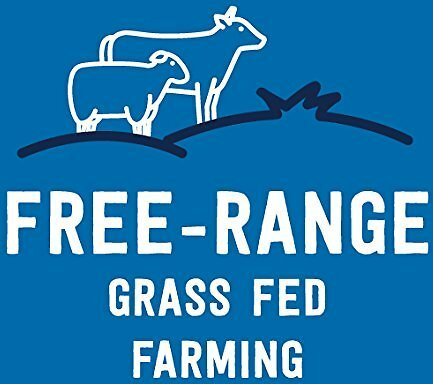 100% single-sourced lamb is free-range and grass-fed on ethical and sustainable New Zealand farms and wild-caught rabbit protein is carefully blended for the right balance of protein and fat. Old Formulation: Rabbit Meat, Lamb Broth, Lamb Liver*, Lamb, Lamb Lung*, Lamb Kidney*, Chick Peas, Lamb Tripe*, Lamb Heart*, Hare Meat, New Zealand Green Mussel, Lamb Bone, Dried Kelp, Minerals (Zinc Amino Acid Complex, Copper Amino Acid Complex, Manganese Amino Acid Complex), Vitamins (Vitamin E Supplement, Vitamin B1 Supplement, Folic Acid, Vitamin D3 Supplement). *Depending on seasonal availability will be temporarily substituted with sheep. New Formulation: Rabbit Meat, Water Sufficient for Processing, Lamb, Lamb Lung, Lamb Liver, Chickpeas, Lamb Kidney, Hare Meat, Lamb Tripe, Lamb Heart, New Zealand Green Mussel, Lamb Bone, DL-Methionine, Dried Kelp, Minerals (Magnesium Sulfate, Zinc Amino Acid Complex, Manganese Amino Acid Complex, Copper Amino Acid Complex), Taurine, Vitamins (Vitamin E Supplement, Thiamine Mononitrate, Pyridoxine Hydrochloride, Vitamin D3 Supplement, Folic Acid). Our normally picky kitties ate this food well from the start. We chose this diet after reading about the lack of recalls on foods coming out of New Zealand. Though a bit expensive, it’s worth it to us to ensure the health and safety of our beloved kitties! My cat is borderline diabetic and has IBD, as well as small cell lymphoma. The cancer doesn't require special food, but his IBD and borderline diabetic condition do. He's apparently allergic to chicken, so finding other foods low in carbs is often hard. This has lower carbs than many--but it is pricey. My dry food only eater will eat this!! 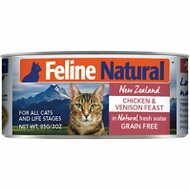 This is so expensive, but this is the only canned food my Siamese boy will touch. He not only sniffed it, but he ate most of it! I thought I was seeing things! Too bad the small cans are more than the larger ones, but my cats insist on freshly opened cans, so I have to buy the small ones and split them. My 2 Devon Rex Love it! One of my Devon Rex has skin allergies and those vet Bill's and meds can't be good for her all the time. I read rabbit and lamb is good for cats with skin allergies. So, giving this a try. And they like it! Food looks really yummy too! Safe and healthy cat food that does not include harmful food dyes, additives, and ingredients linked to cancer and other illnesses are hard to find. This is a great product! My kittens like it and I get to have a peace of mind. My 10-year old boy has been eating pet-aisle junk for his whole life. I adopted him about 6 weeks ago and started the changeover to better quality wet & dry foods about 3 weeks ago. I have noticed a substantial increase in energy and activity in general. The rabbit/lamb mix seems to work well for him, although I am still weaning him off of the junk-food. I mix a bit of that with larger quantity of the Ziwi, and watch it disapear. Still working the kinks out of the dry kibble, but he wasn't eating large quantities of that before we switched anyway. Where is the Ziwi Can Cat Food??? 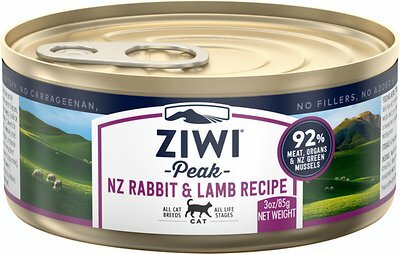 It's been at least 2 months since you have had Ziwi Rabbit and Lamb Can Cat Food of any size in. It is the ONLY can food Brand and Flavor that my VERY SICK Little Girl can eat! I keep calling Chewy, and all I get are vague answers! I love Chewy, but why aren't you making a better effort to get this in ASAP for your loyal customers??? I have two Sphynx cats one has a very sensitive stomach the other well he has a tank for a stomach and can and will eat anything. 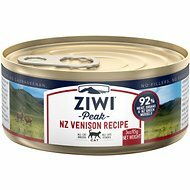 I wanted a high quality food with ingredients that I knew what it was so after reading tons of labels I started feeding Ziwi. They both love it and practically climb up me when they hear me open the can. The one with the sensitive stomach has no issues on this food. Both cats have better stools as well. While I wish it was less expensive, you get what you pay for and you are what you eat that includes our pets. I would rather spend the money on good food than vet bills.